Astoria OR: Holiday Concerts Flavel House Christmas and Scrooged! Saturday, December 8, 2018 at 7 pm (doors open at 6 pm): The Columbia River Symphony Annual Holiday Concert Noel presents holiday music to listen to and sing along with. Admission: Free (Come early, auditorium fills quickly). Sunday, December 16, 2018, at 2 pm: The North Coast Symphonic Band presents their concert Festive Winter Holiday together with the North Coast Chorale, Cheri Walker, harpist, and local opera star Deac Guidi. Selections will include Christmas carols, White Christmas, O Holy Night, and Christmas on Broadway, plus a narration of The Night Before Christmas. The North Coast Trombone Ensemble will entertain with holiday music from the balcony from 1:30 – 2 pm. Admission: Adults $15, children 18 and under free. Advance purchase of tickets from the Liberty Theater Box Office recommended. 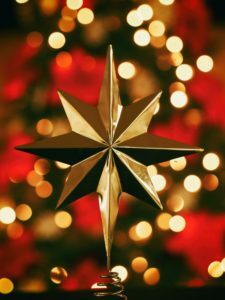 Saturday, December 22, 2018 at 6 pm: The Astoria Christmas Fantastic: A Holiday Show with Kelley Shannon and Friends. The performance also will feature the North West Jazz Quartet and the North Coast Chorale’s performance, Songs About Mary. Admission: $15. Purchase tickets from the Liberty Theater Box Office. Astor Street Opry Company a 15 minute walk from our B&B, presents the 12th Holiday Musical Melodrama Scrooged in Astoria! Performances are November 30 – December 22, 2018, on Fridays and Saturdays at 7 pm. Sunday matinees are December 9 and 16, 2018, at 2 pm. Presented as a 1960’s style Holiday TV special, the light-hearted show combines themes of A Christmas Carol with characters from the summer melodrama, Shanghaied in Astoria! Admission: Fridays, $10. Saturdays and Sundays: Front row seats $20, all other adult seats $15, children $10. Purchase tickets from Astor Street Opry Company. Guests can step back to the Victorian era in Astoria, celebrating Christmas traditions at the Flavel House Museum, right across the street from our bed and breakfast. Flavel House hosts its annual Holiday Tea and Plum Pudding event daily from Saturday, December 15 – December 22, 2018 and Wednesday, December 26 – December 30, 2018. Time: 1 – 4 pm. You are invited to enjoy a self-guided tour of the Victorian mansion decorated for a late 19th century Christmas celebration, plus afternoon refreshments of traditional plum pudding and tea. Admission: $12 per person. Monday, December 17, 2018, from 6 – 8 pm, you’re invited to celebrate an Old-Fashioned Christmas at the Museum, including holiday music, refreshments, self-guided tour, and a visit from St. Nicolas. Admission: $5 Adults, $4 Seniors, $2 Students and Children ages 6-17, 5 and under, free. The holiday season is here, and we’re waiting to welcome you with Christmas cheer at our historic B&B. Our guests enjoy sophisticated décor, luxurious linens and spa robes, free Wi-Fi and parking, plus a multi-course gourmet breakfast to start the day and complimentary afternoon refreshments to welcome you home. Let us help you plan a special holiday getaway this December – just give us a call at 503-325-2005 or go online to reserve your stay. 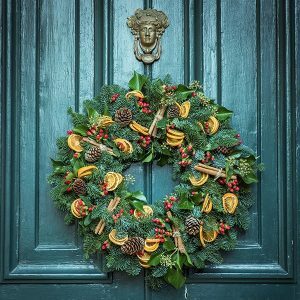 Posted in Attractions, Clementine's Bed & Breakfast News, Events, Holidays | Comments Off on Astoria OR: Holiday Concerts Flavel House Christmas and Scrooged! Astoria’s 2017 holiday celebrations begin Thanksgiving weekend with the Sankta Lucia Festival of Lights on Friday, November 24, 2017. Everyone is welcome, Scandinavian or not, to enjoy this Nordic entertainment and refreshments. For more information, visit their website. From Thanksgiving through mid-December, weekend visitors can step back to a Victorian Christmas in nearby Seaside, OR, and enjoy a holiday Gingerbread Tea at the historic Butterfield Cottage. The home will be decorated in keeping for an old-fashioned Christmas celebration at the Oregon seashore. You can treat yourselves to homemade gingerbread and tea, hot chocolate, or cider while you enjoy the exquisite gingerbread houses on display. Dates & Time: Saturdays November 25, December 2, 9, and 16, 2017, from 1:00 pm to 4:00 pm. It’s easy to get in ‘holiday spirits’ with wine tastings at The Cellar on 10th in Astoria’s historic district every weekend from Thanksgiving through New Year’s. Saturday afternoon, November 25th, 2017, they will host their Annual Open House and Holiday Special Tasting. Sample holiday wines and gourmet treats while you peruse their in-store specials, wine-themed holiday decorations, ornaments, and plateware. Saturday, December 2, 2017, it’s their Annual Holiday Sparkling Tasting of some of the best bubbly from different regions around the world that produce sparkling wines and champagne. Saturday evening, December 2, The Cellar on 10th presents its five course Winemaker’s Dinner featuring regional Northwest Pacific regional cuisine paired with sparkling wines and champagne. Cost: $5 tasting fee, complimentary with bottle purchase of wine tasted. December visitors to Astoria also can enjoy annual holiday traditions of the Astor Street Opry Company – their Starving Artist Faire on December 1-3, 2017, and their production of ‘Scrooged in Astoria’, weekends from December 1-3 through December 22-23, 2017. The 22nd Annual Starving Artist Faire features unique handcrafted items created by over 50 Pacific Northwest arts and artisans. Visitors can enjoy holiday treats and music while they shop for gifts such as ceramics, paintings, photographs, jewelry, clothing, and more. The Faire raises funds for local food banks and the Astor Street Opry Company. The Astor Street Opry Company’s annual holiday play, ‘Scrooged in Astoria’, premieres December 1, 2017, with performances weekends through December 23, 2017. The Company transforms the themes of Dickens’ A Christmas Carol into a holiday melodrama with characters from their annual summer melodrama, ‘Shanghaied in Astoria’. Audiences can cheer, hiss, and boo Scrooge (Max Krooke Jr.), Miss Yul Macie, and Ghosts of Christmas Past, Present, and Future! The holiday season is almost here, and soon the decorations will be hung and the tree trimmed in our historic B&B, just awaiting the arrival of our guests. We’re waiting to welcome you with Christmas cheer, so make your holiday getaway plans right away. If you can’t get away, remember that a Gift Certificate for Clementine’s Bed and Breakfast is a perfect gift of treasured memories, for yourself or for anyone special on your list. Let us help you with your holiday shopping this year – just complete this form, and we’ll do the rest!